Find the ideal way to make a connection! EISELE Pneumatics GmbH & Co. KG is at HANNOVER MESSE 2019 to showcase its full range of premium connectors for all industrial applications - with three innovations from the INOXLINE, LIQUIDLINE and MULTILINE E ranges taking center stage. 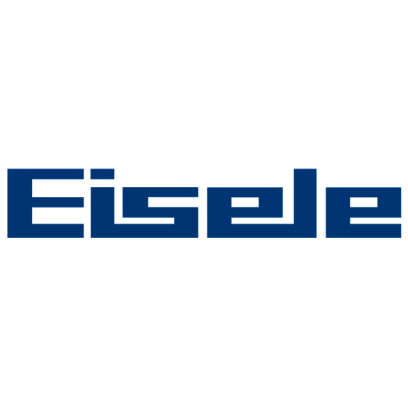 EISELE Pneumatics develops, produces and distributes premium quality solid metal connectors and, in the 80 years since it was founded, has cemented its position as a leading supplier of innovative connection solutions. The EISELE portfolio - manufactured almost entirely in Germany - comprises all important standard connection components such as push-in fittings, quick-release couplings and tube fittings, as well as numerous innovative products with USPs that set standards, such as an extensive line of multiple connectors. The company is at HANNOVER MESSE 2019 to showcase not just its complete high-quality range of hose and tube connectors for all industrial applications, but also to train the spotlight on three innovations. One of these is a completely redesigned pressure regulator made of 1.4301 stainless steel. Used to reduce pressure, the screw-in connection from the EISELE INOXLINE product line keeps the pressure in a line constant within a range of two to eight bar. The flow-optimized pressure regulator also reduces vibration characteristics in regulating systems. Besides this addition to the stainless steel INOXLINE line, the LIQUIDLINE 2500 series made of dezincification-resistant brass is also being extended. The plug connectors with a larger nominal width are now - for the first time - being offered with a 28-millimeter external diameter and initially in three designs, complemented by compatible flame-retardant ProWeld polyether-polyurethane tubes that feature an internal diameter of 19 millimeters. As the biggest variant in the 2500 series to date, this innovation means that larger coolant supply lines running to automation plants can now make the most of all the benefits offered by EISELE plug screw joints. The third innovation on show is another M12 power plug for the MULTILINE E modular system. EISELE is extending the system for combining compressed air, vacuum, gases, coolants, liquids, electrics and electronics all in one connector body with a new L-coding insert for voltages up to 63 volts. The connector supplies up to 16 amps per pin and is resistant to shocks, vibration, polarity reversal and torsion. Thanks to the perfectly coordinated modular design of MULTILINE E, users have outstanding flexibility when it comes to integrating various hose diameters, connector types and media in one multiple coupling. More nitrogen - less compressed air!